Looking for Central Florida active retirement communities? Welcome to Leesburg - A Central Florida active adult, 55 and over retirement community located just outside of Orlando, Florida. 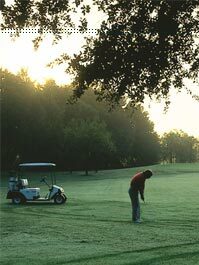 Leesburg offers a wide variety of activities to suit any lifestyle. We give a whole new meaning to active adult retirement communities! Recreational ammenties include golf, tennis, swimming, fishing, jogging, pickle ball, bocce ball, softball, fitness center and biking, just to name a few. Our Central Florida active retirement communities are just minutes from shopping, medical facilities, restaurants, houses of worship and major highways. There are over 1200 named lakes in Lake County. All that Orlando offers is an easy 30-minute drive away. There are so many group activities in our Florida active retirement communities, full-time activity directors are employed to plan, organize and direct them. They include both indoor and outdoor activities, travel, drama, educational activities, arts, crafts and a whole lot more. Leesburg being one of the best areas for Central Florida active retirement communities which offers beautiful championship golf courses, large clubhouses, large heated pools, tennis, pickle ball, private fishing lakes and a state-of-the-art fitness centers.